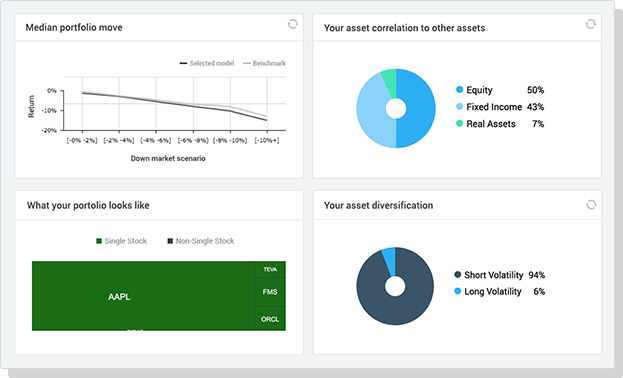 Financial Planning Software for Advisors for Investment Management - Stratifi Inc.
Our governance, risk, and investment advisor software tunes out market noise so investors can focus on details and facts that really matter. • Software for financial advisors play a critical role in the current advisory landscape and the way clients approach their investment decisions. • Investment outcomes can improve by identifying risks that historically interfere with desired outcomes. 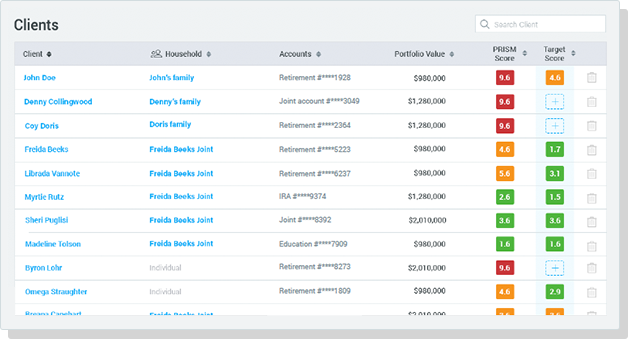 How does PRISM help in portfolio management? We use a simple process to create an action plan. First, clients complete a target-risk assessment questionnaire that reveals their true investment personality. Then, we analyze their client portfolios with our PRISM financial risk management software to reveal often invisible risks. 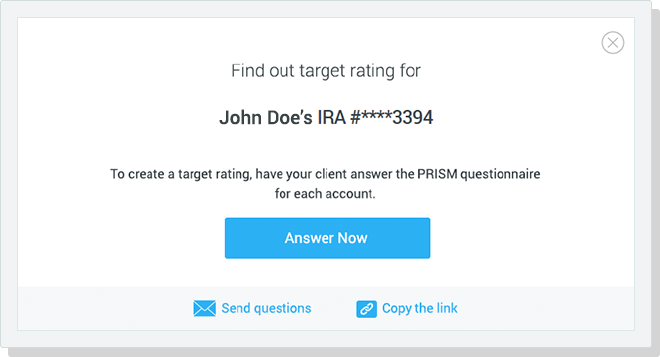 This process generates a PRISM portfolio score to be compared to the client’s target score. In minutes, advisors and clients are working together off the same analytical data. Our PRISM software measures portfolio sensitivity to four dominant investment factors. Each category is assigned a 1 to 10 risk score that is aggregated synthesized into an overall to produce a client portfolio score. The lower the score, the less risk in healthier the portfolio. We can do the same for every account in an advisor’s practice to provide advisors with a risk score for their entire business. This risk management strategy in business analysis is the essence of institutional portfolio management. Reduce Volatility Risk, Make Clients Less Volatile and Make Your Book More Predictable and Profitable. 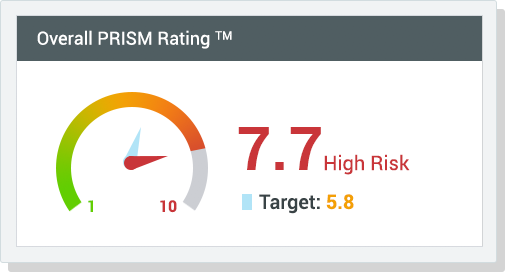 Advisors can use our PRISM’s ratings to ensure alignment of client and investment objectives. This calibration often improves investment returns by managing the fear tempering the market’s fear factor that tends to negatively impact their performance. We help clients understand how their accounts would perform in different scenarios by using the past to measure potential the present, and the future scenarios. That’s why we use many historical market events, including the 2008 Global Financial Crisis, to stress test client portfolios. Many investors have accounts at different firms. Our software allows advisors to know how to manage financial risk and to review those away portfolios in the interest of generating a holistic financial risk analysis review. This analysis is an effective asset consolidation tool. By using PRISM to evaluate every portfolio under management, firms can further quantify compliance and investment risk. This added level of review and analysis helps keep a firm’s leadership ahead of the risk curve and adds an important tool to their management dashboard.